Writing an essay often seems to be a challenging task among students. You are not only required to read a lot but also do thorough research. Writing an essay is a common task to do for students whether it is for English test, college admission, scholarship, contest or a routine task given in class. Writing an essay is not only overwhelming but also time-consuming. However, if you know the tricks, it will become so much easier to tackle it on time. The following are tips for writing a successful essay. Choosing a great topic makes the writing so much easier. Research on the internet to get an idea what topic may interest you the most and make sure you understand the topic fully before you choose. If you are not familiar with the topic, you will have to find another topic that you are familiar with. Once you get a topic for your essay, you can now brainstorm ideas that are related to the topic and write an outline. If your topic is too broad, you may need to narrow it down to make the writing process more expedient. A good topic should not be too general or too narrow so that it can be easily expanded to meet word length requirements. Writing an outline is a good way to organize your writing and help you write an essay easily. An outline consists of introduction or thesis, body paragraph that includes a first topic sentence with three supporting ideas, a second topic sentence with three supporting ideas, a third topic sentence with three supporting ideas and conclusion. 4 Write your thesis statement. After choosing a topic and sorted your ideas, the next part you need to do is to write your thesis statement. Thesis statements consist of a topic and the main point of your essay. Once you developed your thesis well, the next part is to write the body of your essay. The body paragraph also consists of a topic sentence and supporting points. Writing a conclusion is a way to sum up your overall ideas. The conclusion consists of the main points of your thesis but with different words. Every time you get an idea from somewhere, write the sources down. This will help you to remember where you got the sources from. Don’t forget to reference sources, referencing will allow you to avoid charges of plagiarism. Make sure you follow your instructor’s instructions regarding referencing styles. If you don’t know how to reference your sources, you may find the information from online libraries or ask librarians at your campus. Double check your work to make sure there are no grammatical errors. If you are writing an essay in class, you should budget at least 5 minutes to check your essay for grammatical error before handing it in to your professor. If you are doing an essay assignment, you may check out Grammarly to help you to proofread your work and check your work against plagiarism. Writing an essay can be difficult if you don’t know the tricks. 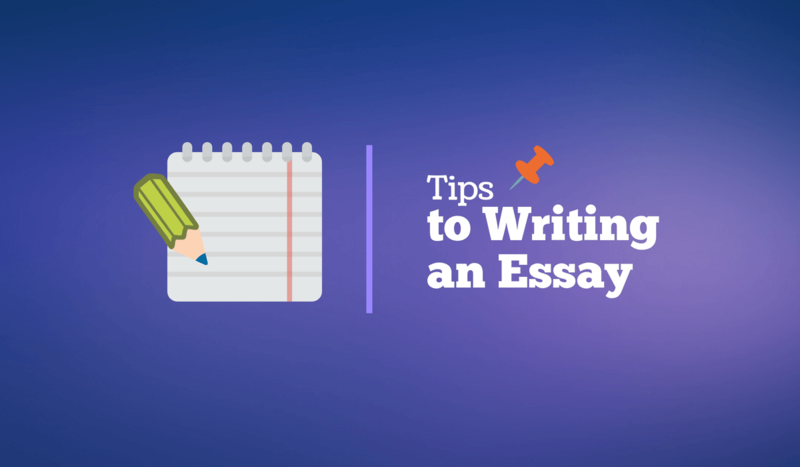 Following these tips will help you write an essay easily and quickly.